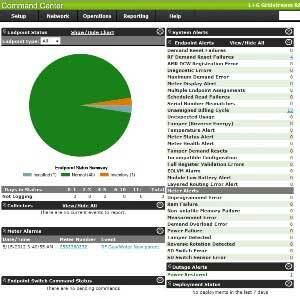 Command Center is the browser-based operating software for Gridstream RF and PLC networks. It installs seamlessly, or can run on hosted servers, and provides a secure platform for data and system management throughout the utility. Reports are tailored for use by billing, finance, customer service, operations, distribution planning and engineering departments. Multiple integration partners and cross-platform functionality ensure Command Center will integrate into the entire business.